Tiger Trailers has welcomed 12 new recruits to its successful engineering apprenticeship programme. 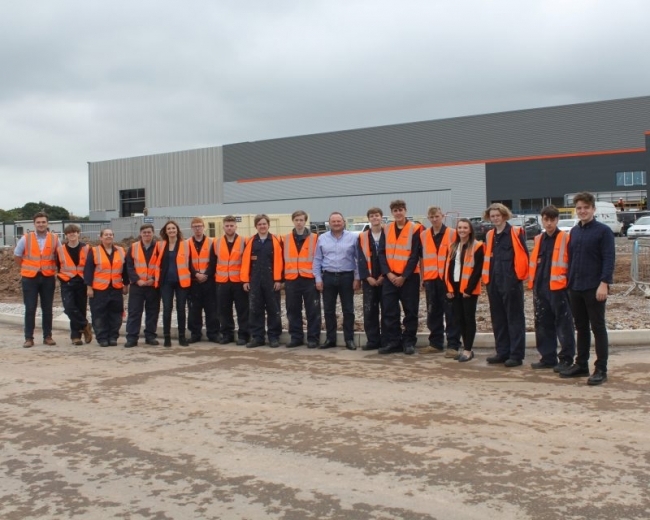 The latest intake will be some of the first to feel the full benefit of the company’s impressive new training facility, which forms part of Tiger’s brand new, state-of-the-art Winsford factory opening in December. After a rigorous selection process, the new starters join 25 existing apprentices who are all at different stages of their Level 2 Engineering Manufacturing course, which has been designed in partnership with Warrington & Vale Royal College. The apprenticeship programme has been an integral part of the company’s success, starting almost as soon as Tiger opened its doors in 2014. Four years on and the course has gone from strength to strength, with the company’s first group of apprentices having already earned their stripes with the company in full-time roles. Steven Cartwright, Joint Managing Director at Tiger Trailers, said: “We are extremely proud of our apprenticeship programme and always excited to welcome fresh talent into the business. It’s especially exciting this year as we’ll soon be able to put them through their paces in the new training facility we’re creating. Each apprentice will be taught the skills that has seen Tiger Trailers become one of the fastest growing trailer manufacturers in the UK. With the help of a mentor, they will learn everything from bodybuilding and welding, to auto electrics and pre-delivery inspection checks over a four-month rotation, helping to ensure they’re perfectly placed to play a key role in Tiger’s future growth and success. In what is often a male-dominated industry, Tiger is delighted that it’s able to buck that trend, welcoming another female apprentice into the company. “We’re a company that actively encourages anyone interested in engineering and manufacturing to come and talk to us – we’ve built this business by employing people who want to learn and develop a genuine career, and it’s great to see every one of the latest new starters take that first step,” Cartwright added.